You are cordially invited to attend the opening ceremony of ‘the PixelSpace Pavilion’, a result of the second Architectural Association (AA) Visiting School in Kuwait. The event will be hosted in the central atrium of the 360 Mall and the proceedings will commence on Saturday, 19th August at 7:00pm. The ceremony will feature the unveiling of the pavilion, presentations by the students and acknowledgment of the sponsors. We look forward to welcoming you in the celebration of this event. 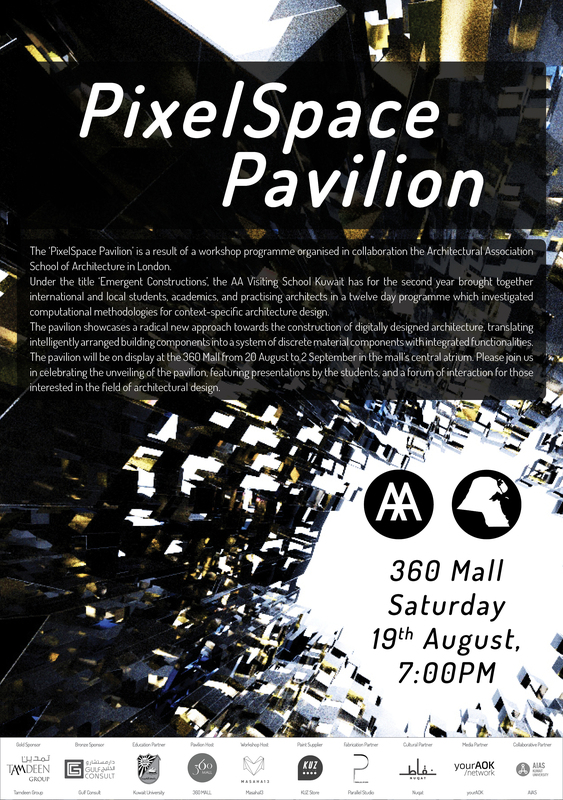 The ‘PixelSpace Pavilion’ is a result of a workshop programme organised in collaboration the Architectural Association School of Architecture in London. Under the title ‘Emergent Constructions’, the AA Visiting School Kuwait has for the second year brought together international and local students, academics, and practising architects in a twelve day programme which investigated computational methodologies for context-specific architecture design. The pavilion showcases a radical new approach towards the construction of digitally designed architecture, translating intelligently arranged building components into a system of discrete material components with integrated functionalities. 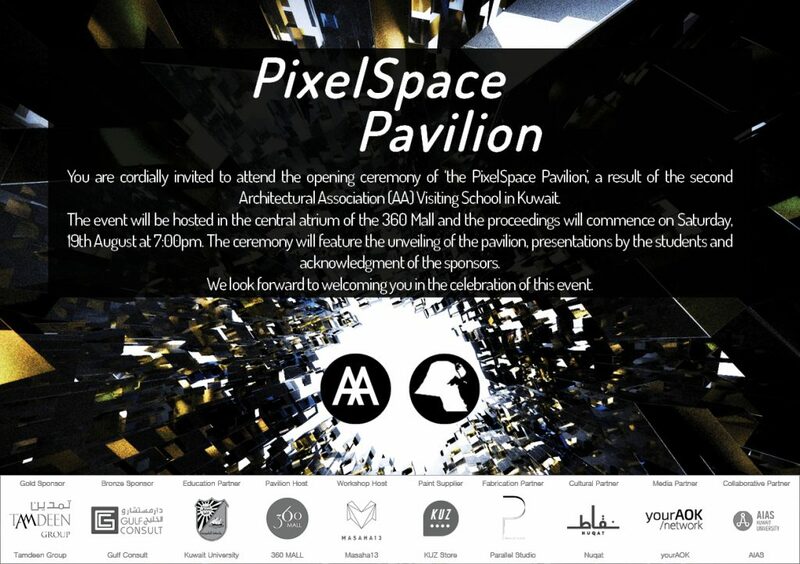 The pavilion will be on display at the 360 Mall from 20 August to 2 September in the mall’s central atrium. Please join us in celebrating the unveiling of the pavilion, featuring presentations by the students, and a forum of interaction for those interested in the field of architectural design.